Junction One International Outlet Shopping Centre is a unique shopping environment with over 50 individual outlets. Based on the long established transatlantic concept of international outlet centres, Junction One offers surpluses, overruns, samples and previous seasons stock providing the ideal opportunity to buy famous brands at genuine savings on high street prices. 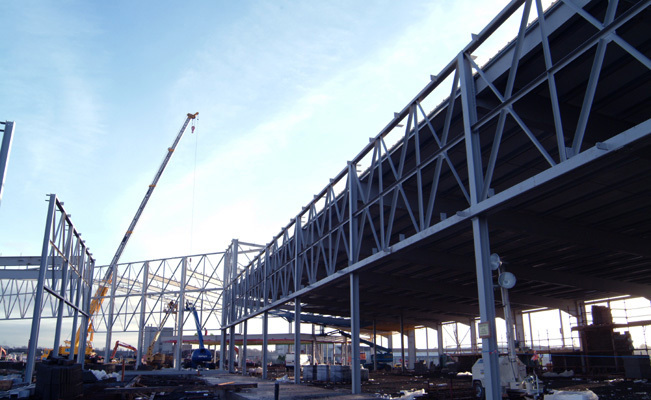 Smyth Steel provided over 1300 tonnes of hot-rolled steelwork for this single storey structure. The project was completed on time and budget in one of our largest single projects.